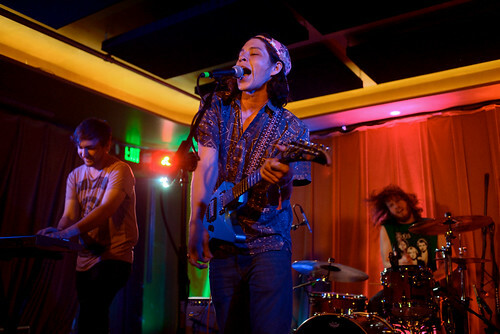 Barboza has served as the launch band for many Seattle Band's careers throughout the years. It was only fitting then that on Friday at Capitol Hill Block Party, local bands dominated the Barboza stage. 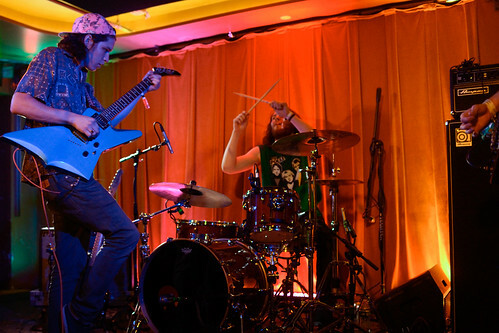 Sets from Acid Tongue and Black Whales showed the strength of Seattle's music scene, and left all who ventured down the stairs to Barboza thoroughly pleased. 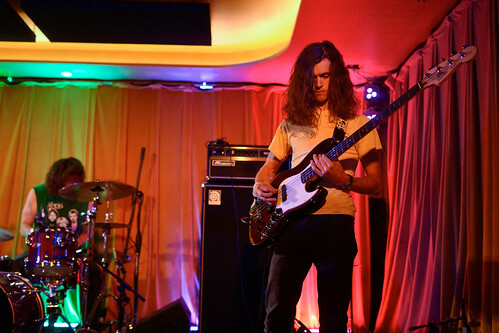 As twilight crept upon Seattle, and the CHBP crowd began to grow, Black Whales took the stage at Barboza. The five piece filled the venue with their excellent blend of psych-rock, showing why they are a staple of the Seattle music scene. The group used a wall of reverb not as a crutch, but as a tool, setting the soundscape for their catchy hooks and guitar riffs to trade punches. It was the perfect set to kick off Friday night, and the crowded Barboza basement seemed inclined to agree.